IPrint Express introduces our unique selection of popular designs for Customizable Fridge Magnets. The perfect gift for corporate functions and the best business marketing tools for clients. 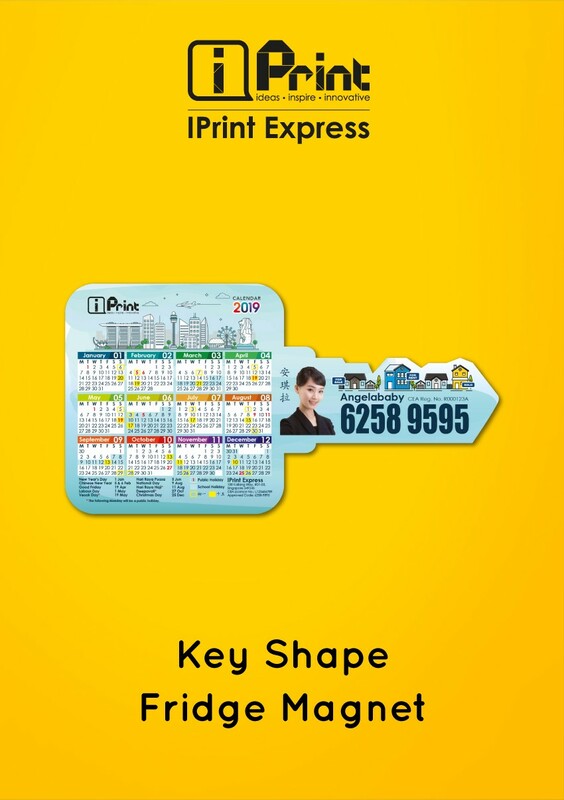 Now in 3 different sizes, House Shape, Round Corner and A Key Shape, you can include anything from your personal contact details to logos or even slogans to make your magnets stand out from the rest. Designs are specially made to ensure that your clients will not forget your company or services. Made from high quality and versatile materials with a magnetic surface guaranteed to last throughout the year. 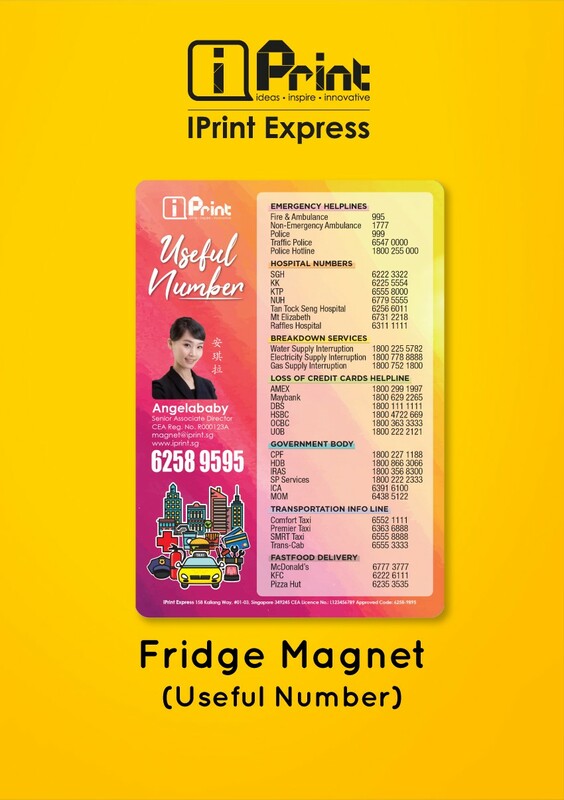 All magnets come with gloss lamination to ensure a shiny surface that will definitely be eye-catching and ensure that all relevant information of your businesses can be seen at a glance. Have a different customised size or die cut shape in mind? Let us know and we can help! - Price stated do not include individual packaging. - Ready by 4 to 5 work days upon confirmation with full payment make. - Die Cutting tolerance of 1.5mm more or 1.5mm less is permissible. - Total quantity tolerance of 2% more or 2% less is permissible. As a property agent, you need to think of a clever but cost-effective way to promote your service to your customers. 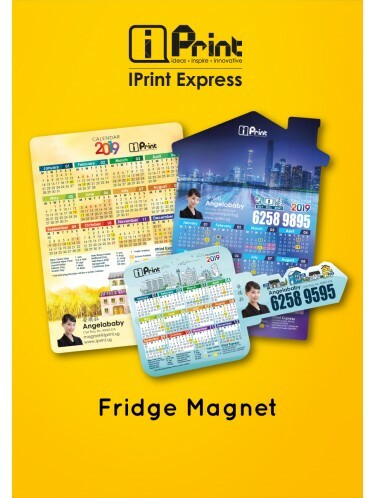 There is no better way to do this than giving out Calendar or Useful Number Fridge Magnets. 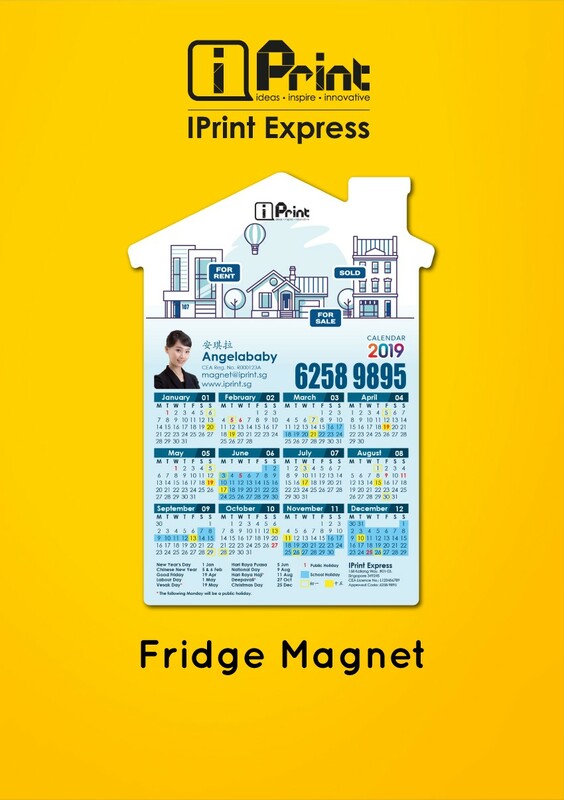 This marketing tool is sure to stay on their fridge at least a year and can help you to compel them to consider your business. 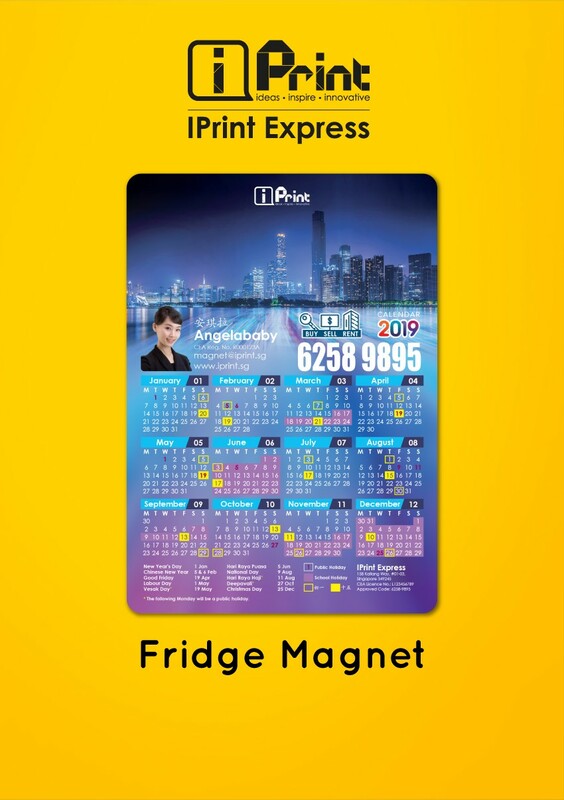 Fridge Magnets that bears your personal information about your business pushes your clients to come back and help you ensure that they will not soon forget about you and your services.